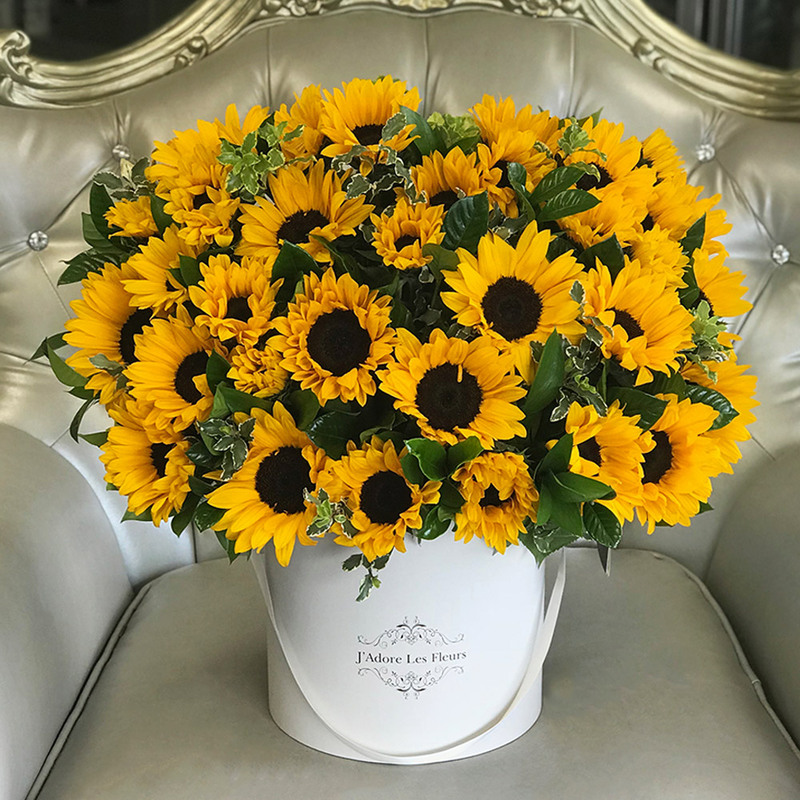 The sunflower most commonly means admiration and loyalty. 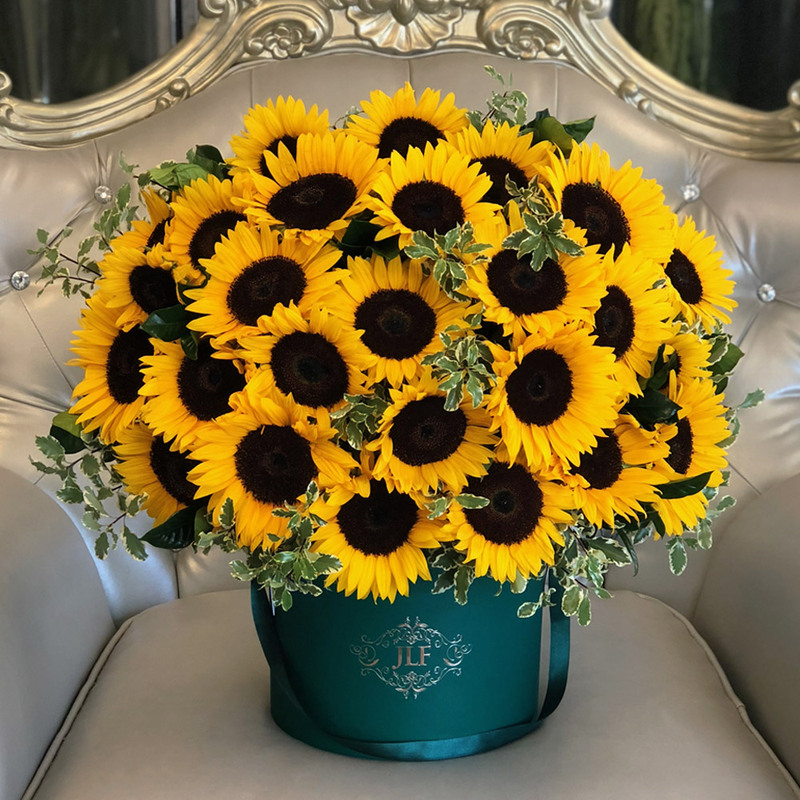 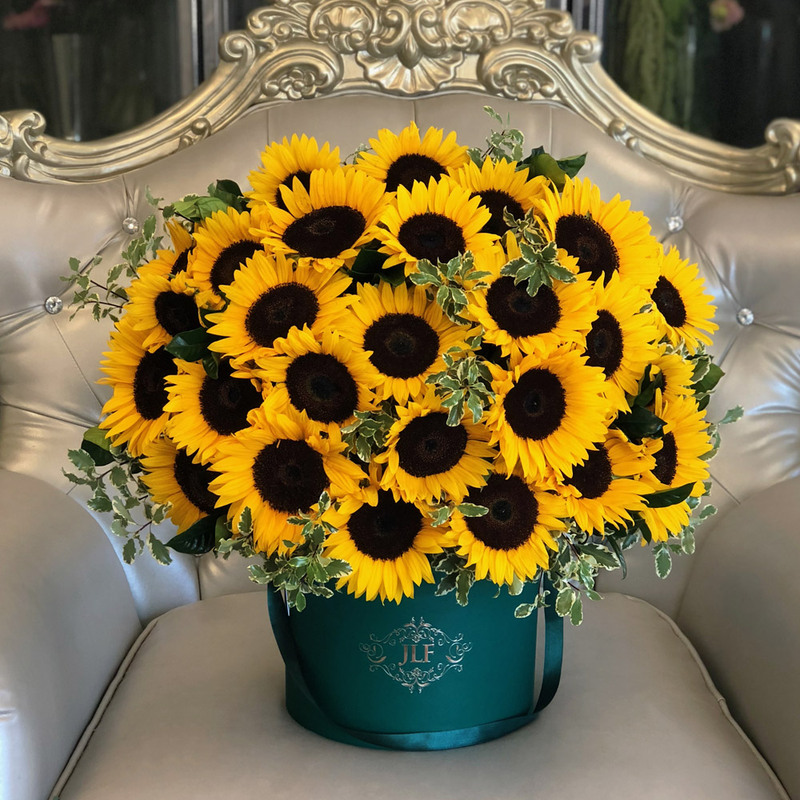 In this design the sunflowers are strategically gathered together creating a dome shape. 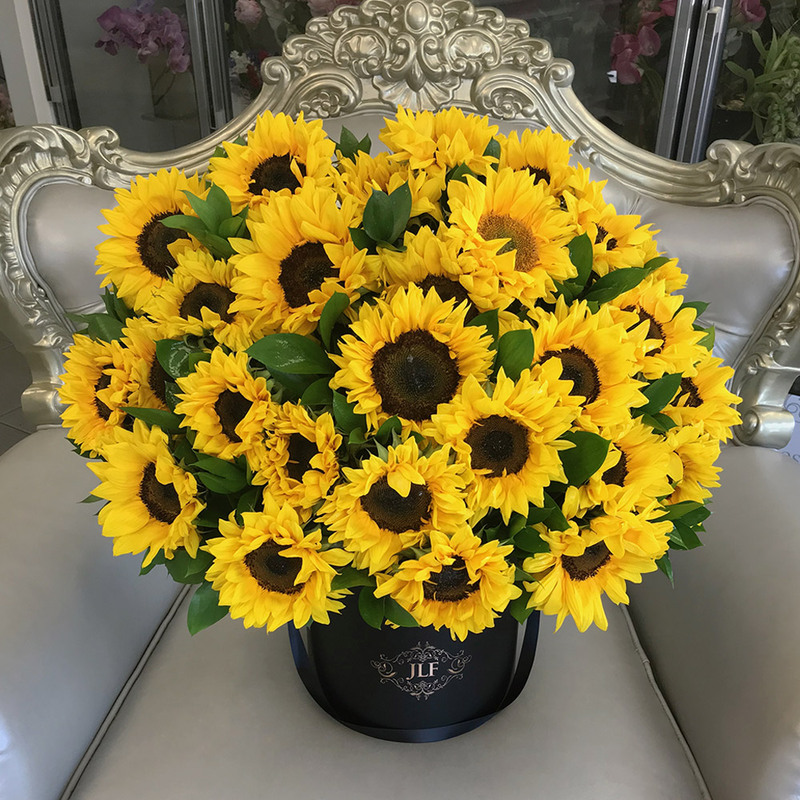 The arrangement in the photo is in our Medium size box.